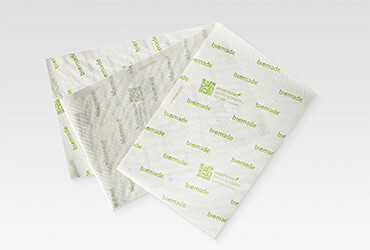 The only entirely compostable food-grade packaging system. This wrapping paper is made of food-grade paper lined with a Mater-Bi® film, which may be entirely disposed of as wet waste, as all of its components, paper, film, inks and stickers, are OK Compost –Vinçotte-certified. 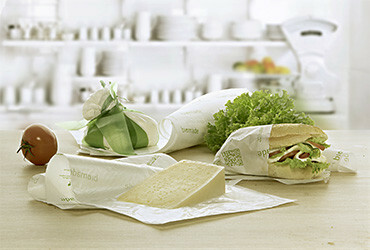 This kind of food-grade packaging, which may be disposed of after use as an organic fraction, as it is entirely biodegradable and compostable according to EN 13432, optimises the reuse of materials through composting.